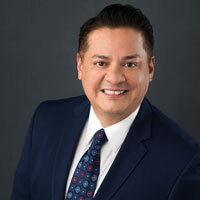 Tony Moya is manager of the Latino Relations Department at Salt River Project (SRP), a $2.8 billion public power utility providing power and water services to more than 2 million Arizona residents. Tony has been with SRP for more than 29 years, during which time he has held several positions throughout the company. As Latino Relations Manager, Tony carries out SRP’s community involvement strategies and activities geared toward the Hispanic community, specifically: corporate contributions, safety, educational programming, volunteers, and strategic partnerships. One of his main objectives and responsibilities is to foster and develop partnerships to increase enrollment rates for students in higher education programs. His efforts have led to a partnership with Arizona State University’s American Dream Academy, where parents are trained on how to become more involved with their student’s education. An active community leader, Tony has many affiliations with different organizations including: Alumni and Chair for the Hispanic Leadership Institute selection committee hosted through Valle Del Sol; Executive Board member/vice-chair Chicanos Por La Causa; former Board President and Alumni of Valley Leadership; Raul H. Castro Institute Advisory Committee; Board Member Friends of Public Radio; and Board Member of Celebración Artística de las Américas (CALA). On a national level, Tony serves on the Congressional Hispanic Caucus Institute (CHCI) Advisory Council.